When most grand prix show jumpers were spending their winter showing in the sun on winter circuits, Splendor was galloping across snowy fields, jumping coops out foxhunting in Illinois. But on July 22, Splendor showed he hasn’t forgotten the show jumping game either, as he and Caelinn Leahy won the $50,000 HITS Grand Prix at HITS Balmoral (Ill.). Leahy, 15, rode to a blazing jump-off round 2 seconds faster than the rest of a six-horse jump-off field to win on the 18-year-old gelding. 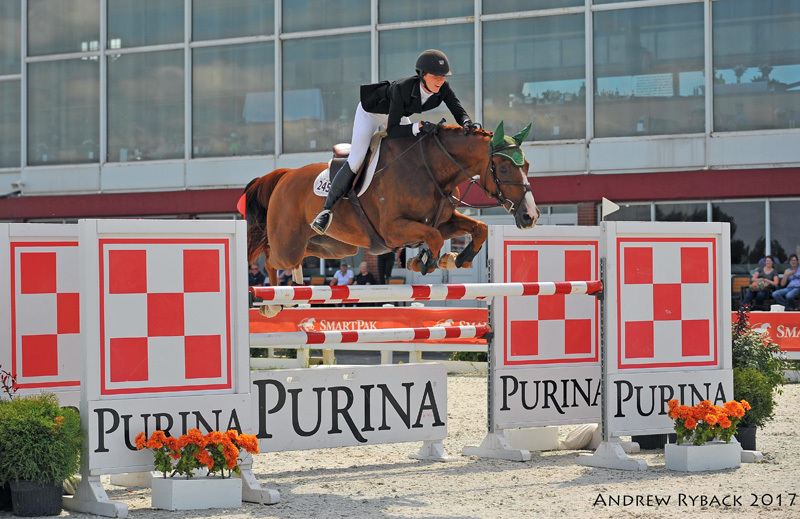 Splendor has an extensive resume in the jumper ring, having previously been campaigned by Charlie and Maggie Jayne and Kelsey and Maddy Thatcher in grand prix and amateur-owner jumper classes between 2013 and 2016. Steve Schaefer, Leahy’s stepfather and trainer, bought the Hanoverian gelding by Escudo last summer. He sent Splendor to Leahy’s father’s farm to have some time off. Leahy’s father is Tony Leahy, jt-MFH and huntsman for the Massbach Hounds and Fox River Valley Hunt (Ill.) and current president of the Master of Foxhounds Association. Caelinn spent the season hunting Splendor. “My dad wants to make sure that I’m on a super safe horse out in the hunt. Splendor really likes hunting,” she said. Then in May, Caelinn started to show Splendor, competing in some 1.30- and 1.35-meter classes at Balmoral. “He is really cool to ride, and really fast across the ground. I always have a smile on my face when I ride him,” she said. Going fast might be Caelinn’s game now, but she hasn’t always felt that way. 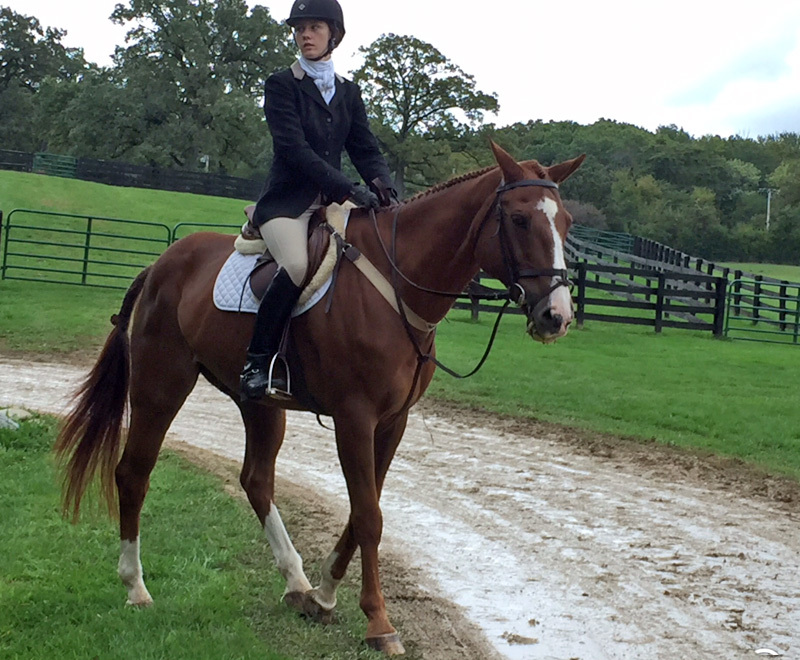 Caelinn was born into a horsey family; she grew up foxhunting with her father, Tony, and her mom, Heidi Schaefer, is a former Pony Clubber and currently shows in the amateur divisions. Whichever direction they go, this perky young rider’s infectious enthusiasm for her horses and supportive extended family will be sure to keep her on the fast track to the winner’s circle.